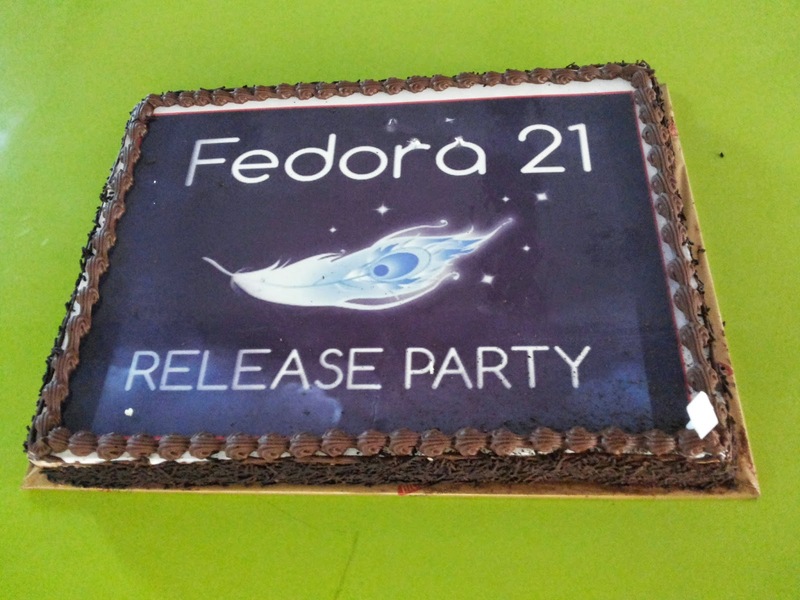 Fedora 21 release party was planned in quick time, we can say in one week. Attendees were around 25. Few points regarding the event. We got number of people from different organization Red Hat, CDAC, TIFR, IIT, Gnowtantra and couple more. Anish nicely explained myths about Gnome. Praveen Kumar rather than giving presentation, actually demonstrated Docker, which created further interest in audience. Rahul Bhalerao very nicely explained "How to contribute in Fedora". One can participate even when he is not software programmer. We got nice explanation from Dr. Nagarjuna G on Free software Vs Open source software. During discussion with audience we found there is need for further events regarding Fedora AT Mumbai. Specifically one should be install-fest. We got excellent answer for question regarding running MS-Office with wine. Wine is developed to run Free software's available on Windows, so is it not good to spoil its intention by running non-free software with it. Libreoffice is good enough and already used by number of people. At the end of conference i am happy that we found Fedora enthusiast group At Mumbai and definitely we can do more events for Fedora in Mumbai in future. Why to attend Fedora 21 release party At Mumbai? ?